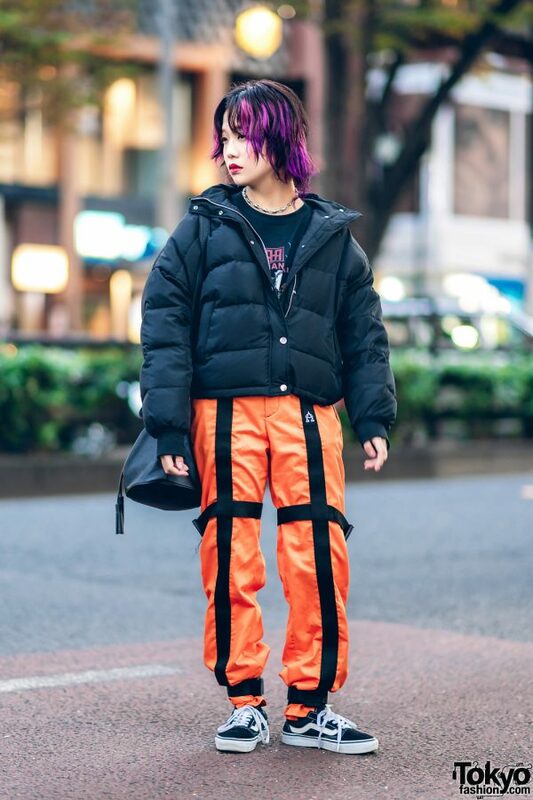 Meet Neo Tokyo, whose purple-tipped hair and winter street style easily caught our eye on the streets in Harajuku. 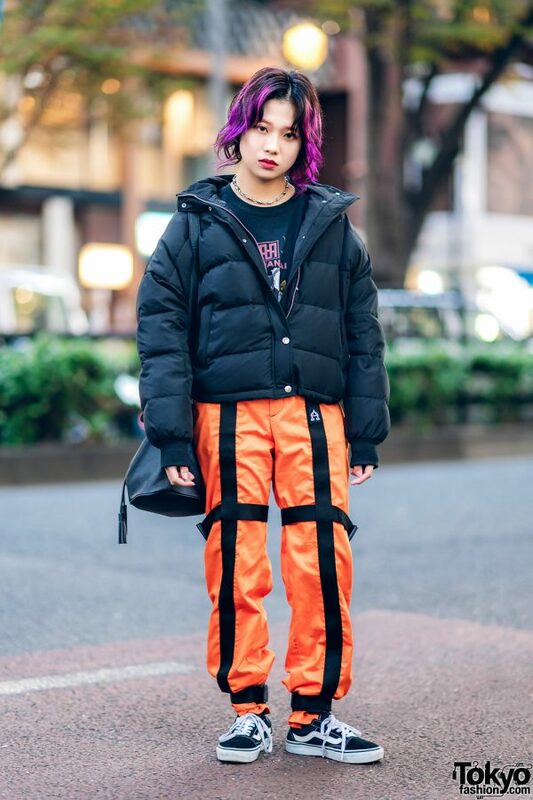 Neo Tokyo is dressed in a black puffer jacket from Jouetie, which she wore over a black printed t-shirt and paired with resale orange satin pants with black strapped details and ankle straps. 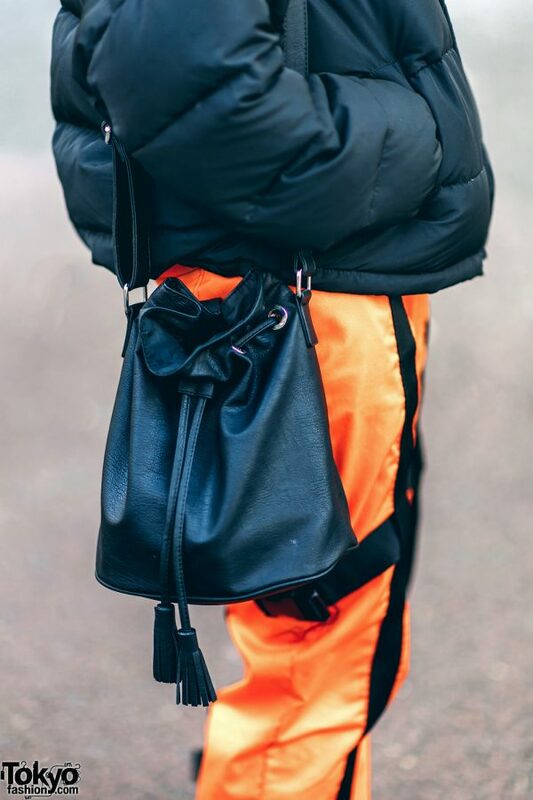 She rounded out her outfit with black Vans sneakers and a black bucket sling bag with tassels from H&M. 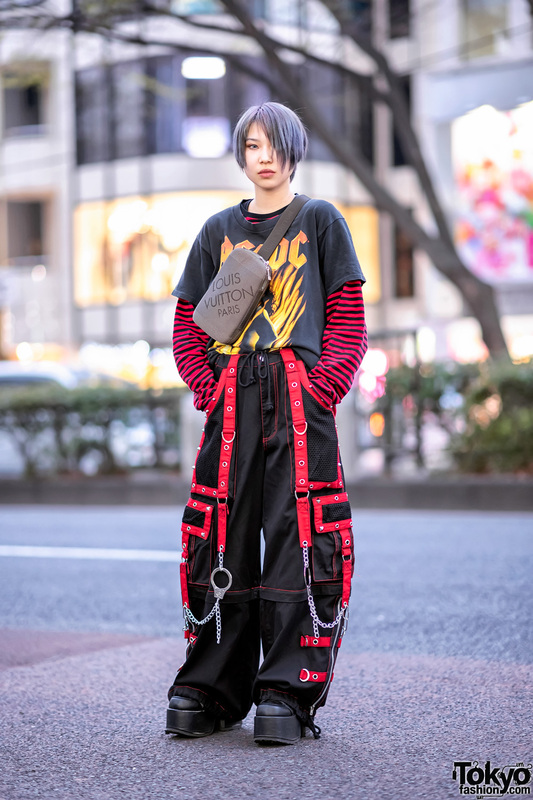 Red eye makeup, a bold red lipstick, and a silver barbed wire necklace are the finishing touches to her look. 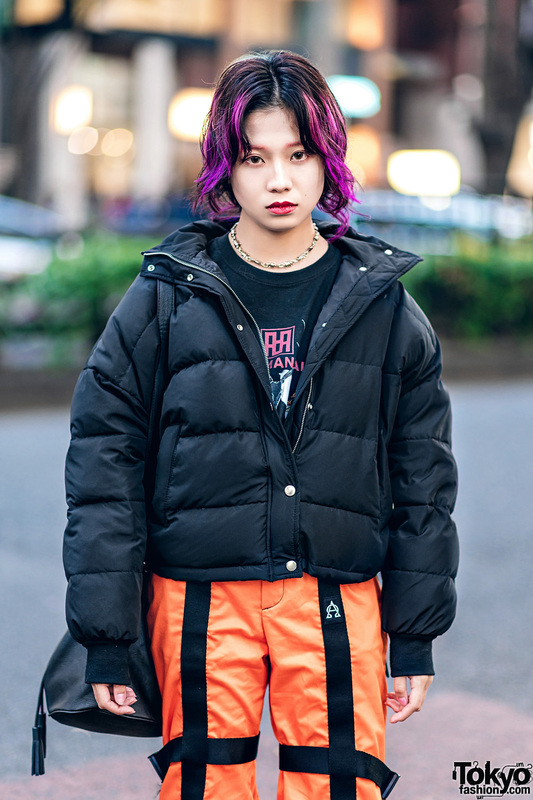 Clique Tokyo is one of Neo’s favorite fashion brands, and she loves listening to the music of Lil Penny. 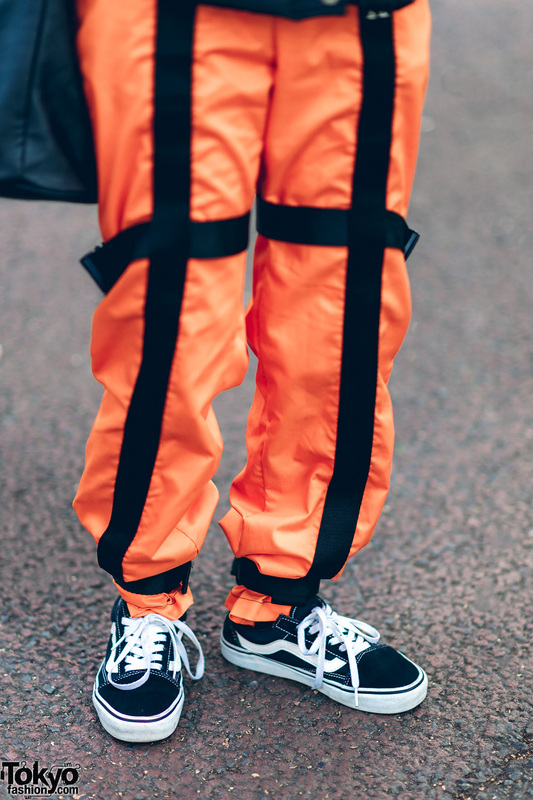 Follow Neo Tokyo on Instagram for more of her streetwear styles.